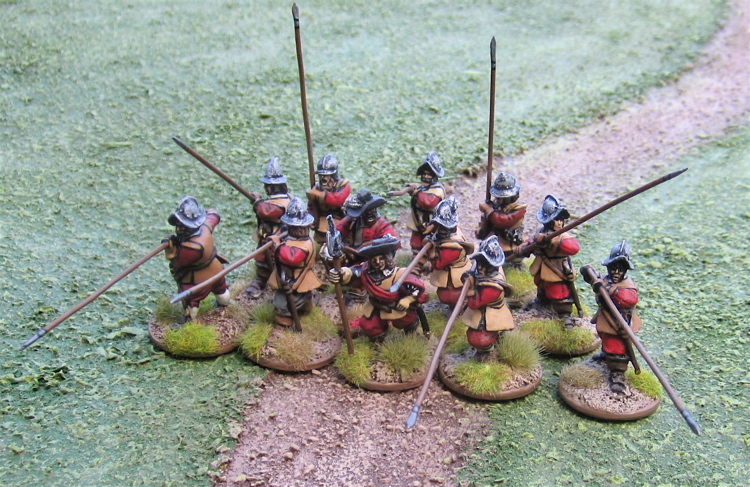 One unit of Pike for The Pikeman’s Lament. Four of these I actually painted over a year ago, but I used much shorter and skinnier pikes, so I replaced those when I painted up this unit (and ended up repainting their gloves!). When the dust settles I should have four units of pike and four of shot for the English. Probably some More ECW Pike… or a report of some ECW action with The Pikeman’s Lament. Nice work! Who says all must wear the same uniform? Not true! Even those that had "uniform" uniforms often had different clothing distributions and not always of the same color. Especially with wear and fading, red can easily become orange. Very nice mate. Love the Old Glory sculpts for ECW. Impressive - and beautiful - pikes! 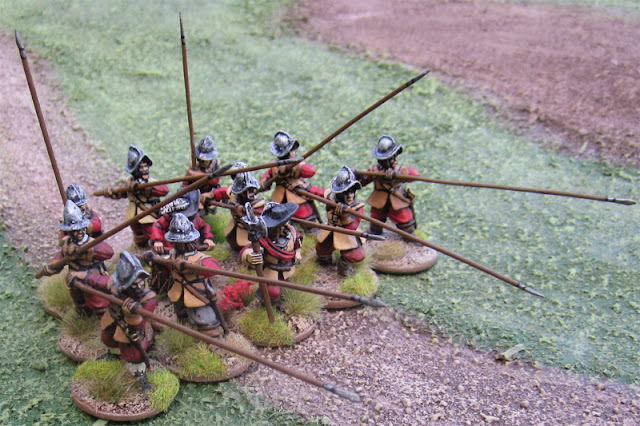 Great looking pikemen, I'm glad you've gone for longer pikes, they just look better!